All the delight of golden fish fingers. 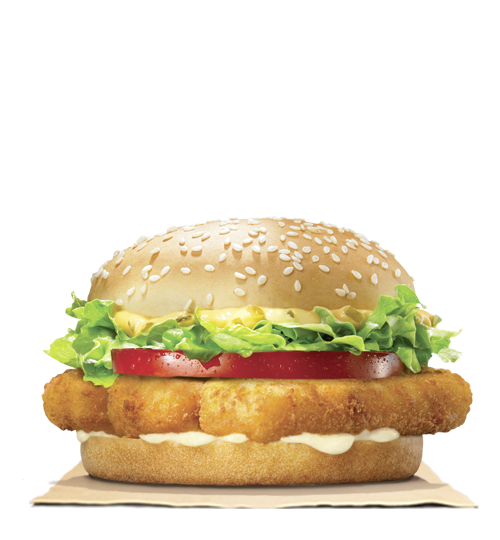 Crispy, golden breaded fish fingers, big king sauce, tomato, pickles and iceberg lettuce all served up on a sesame seed bun. One bite and you're hooked. Burger with fresh vegetables topped with iceberg lettuce, juicy tomatoes, ketchup and veggie mayo. Served on a toasted sesame seed bun. Lettuce mix, cherry tomatoes, corn, cucumber and crispy chicken fillet accompanied with yogurt dressing. Lettuce mix, cherry tomatoes, corn, cucumber and grilled chicken accompanied with yogurt dressing. 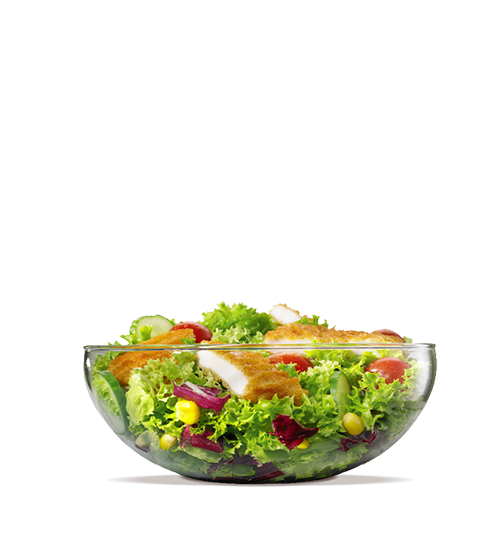 Our Garden Side Salad is a blend of premium lettuces garnished with cherry tomatoes, corn and cucumber accompanied with balsamic salad dressing. 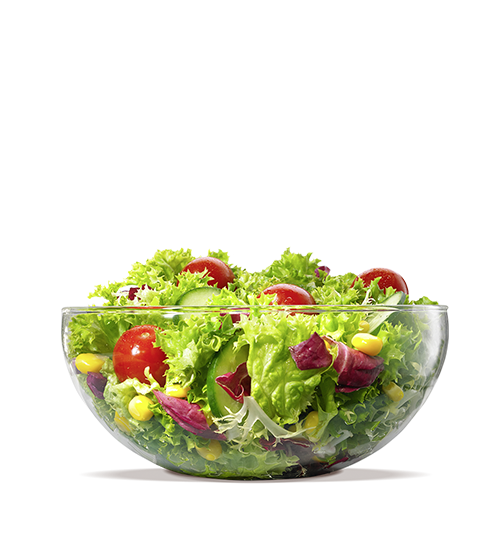 Lettuce mix, cherry tomatoes, corn and cucumber accompanied with balsamic dressing.